Treat yourself to an amazing week of fun in the snow on the Marmolada Glacier at Hotel La Montanara: from here you can reach out and touch the sky, whizzing up to Punta Rocca at 3265m, on the cable lift. Once you have taken in the stunning 360° view from the roof of the Dolomites, a 1800m downhill stretch awaits you where you will be greeted by the Bellunese, considered one of the most spectacular pistes in the whole of the Alps. Is your dream to ski in short sleeves in pleasant temperatures on uncrowded pistes? Don’t miss the Dolomiti Super Sun special offer. 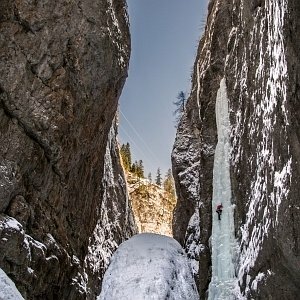 Then the icing on the cake, make your way back to the hotel, still on your skis, through the magical canyon Gola dei Serrai. The central location of Hotel La Montanara makes it the ideal jumping-off point for a trip to the pistes of Sellaronda or the Giro dei Quattro Passi (tour of the four mountain passes), Europe’s number one skiing complex and the historic Great War Tour Giro della Grande Guerra. 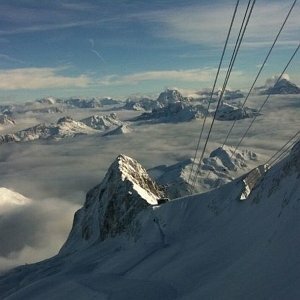 You can be on the Arabba-Marmolada ski slopes and the Ski Civetta ski area in just 15 minutes. Just ask the Hotel La Montanara staff for more information. Hotel la Montanara nestles in the shelter of the highest peak in the Dolomites: Mount Marmolada. Its unique fascination and austere, regal bearing has earned it the name The Queen of the Dolomites. No other Dolomite peak has two faces that are each as attractive as they are contrasting. On one side, the sun-kissed South Face, a breath-taking wall of silver limestone that reaches up over 1000 metres from the idyllic pasturelands of Val Ombretta, and is 3km in length. On the other side, the shady North Face, home to the largest glacier in the Dolomites, is a paradise for skiers way beyond the end of the normal season. A mountain just waiting to be explored which was the site of some of the most crucial events of the First World War. In the area around Mount Marmolada history exudes from every pore. Its snow fields were transformed into the city of ice, an amazing strategic Austro-Hungarian bulwark. It is well worth getting off the cable lift to pay a visit to the Great War Museum at Punta Serauta. The trenches stretch all the way to Monte Padon home to the famous climbing route Ferrata delle Trincee.